Whilst I don’t believe that this condition is totally fabricated as does Peter Hitchens , Mail on Sunday Columnist, but I am concerned that young children are being categorised with ADHD when they really do not have anything wrong with them. Symptoms of ADHD are often seen in many young children, such as short attention span, disruptive behaviour and uncontrollable behaviour. However that does not mean that they need to go on anti depressants to overcome this. Could it be that they are bored, their diet is poor and they just need stricter boundaries? I listened to BBC London on this very subject today and there were callers whose children had had astonishing side effects from these drugs; some even pledging to commit suicide. It seemed that psychiatrist had a label for misbehaving children and parents could blame the genes rather than finding alternatives. I believe the condition is worse in America where they are handing out these drugs like they are smarties. About 10% of children are diagnosed with ADHD. I don’t know any, although at times I have thought certain reprobates on the buses must have it. Seriously though, have we just moved on from “Prozac Nation” to “Ritinol Nation”? ADHD is a highly regulated drug the world over, precisely because of the reputation it has. I recently had a friend who tried to get hold of some in Pakistan to help her with her studying, and she was denied it by more than one doctor as they were fearful of the repurcussions. They did offer her a host of other things instead, so it’s not as if these doctors were not corrupt. 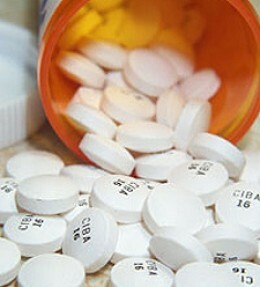 I have seen the positive effects it has on people, one of my friends’a attention span is intorelable without Ritalin. I have been on holiday with her and you literally cannot have a conversation with her until about 20 minutes after she has taken her medication. With Ritalin, she’s a high flying asset manager. Without it, I reckon she’d be unskilled and unemployed. I do agree that prescribing Ritalin should be a last resort though. A child’s diet should be monitored first, then their exercise levels.